I have always loved decorating my home for the holidays. I get into the spirit and joy of the season early and so does my family. I have raised my kids well; everyone helps me schlep countless boxes up from the basement, so I can deck the halls of my 1790s antique home with garlands, ornaments, stockings and collectibles. Outside, I have just as much fun. 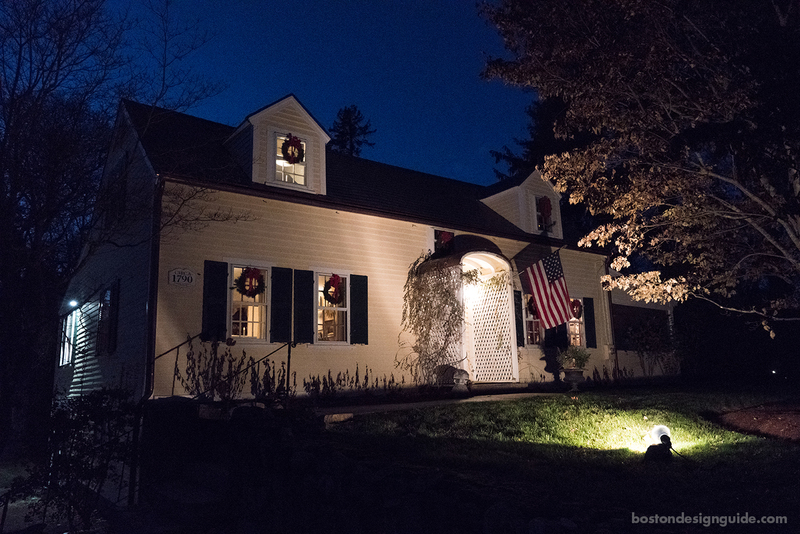 I place wreaths on every window, hang window boxes bursting with greenery on my barn (Cheers, Stonegate Gardens! ), and shine a spotlight on my front door in a visual welcome. 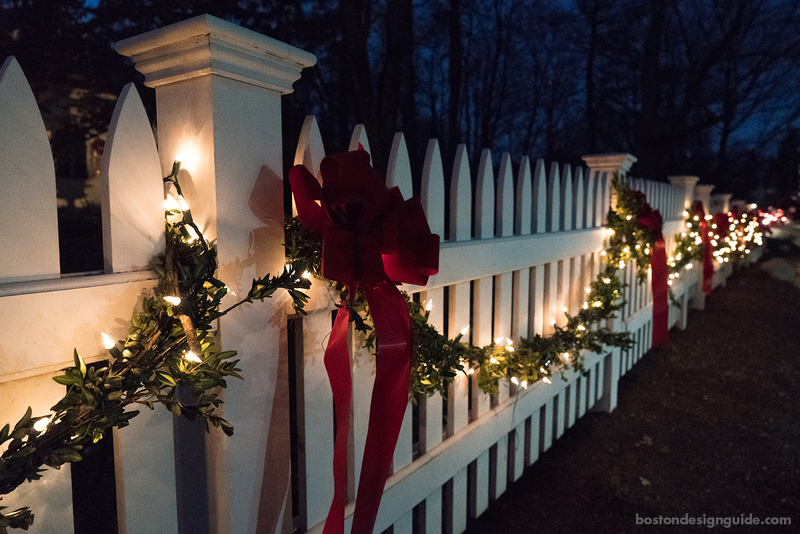 But if I had to choose two decorations I treasure most of all, the first would be the boxwood garland strung on my white picket fence. 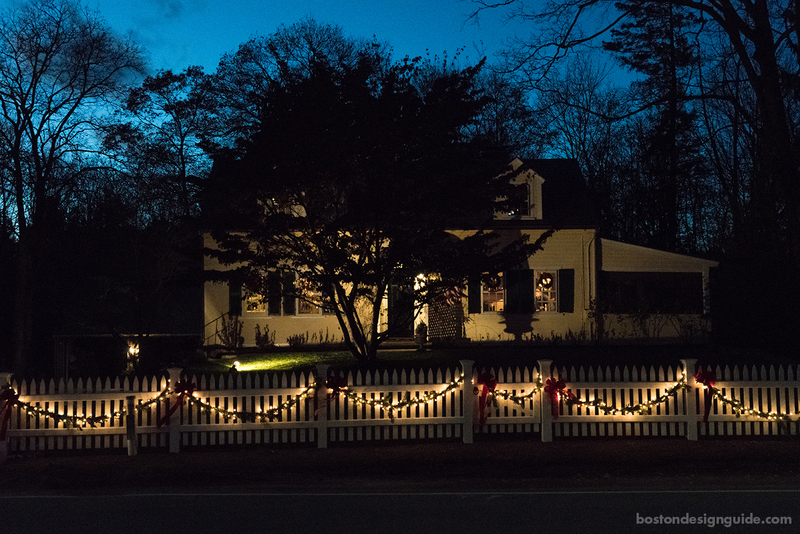 I like the look of boxwood’s shiny shapely petals, so I drape it from fence posts tied with velvet red ribbon, and wrap it with lights. Because I have the strands of lights on a timer, at night when I return home from work, I am a greeted by a cheerful, glowing scene. 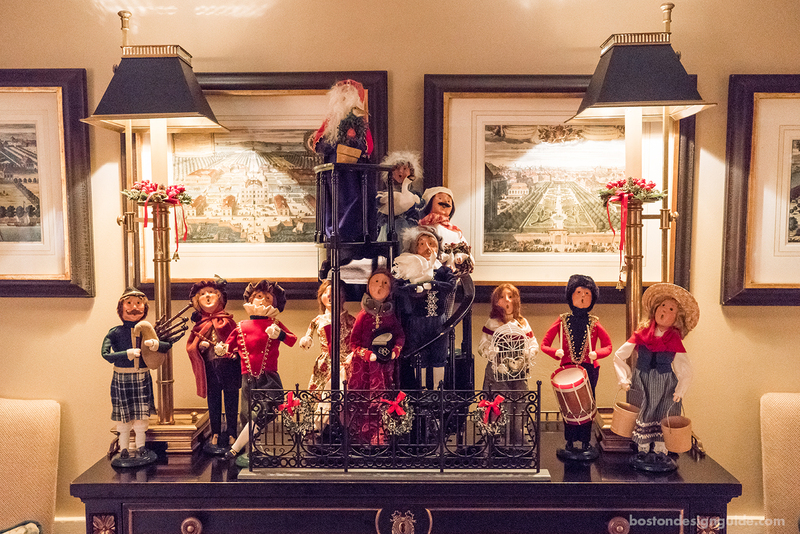 Inside, it’s my collection of Byers’ Choice Carolers that brings a smile to my face. 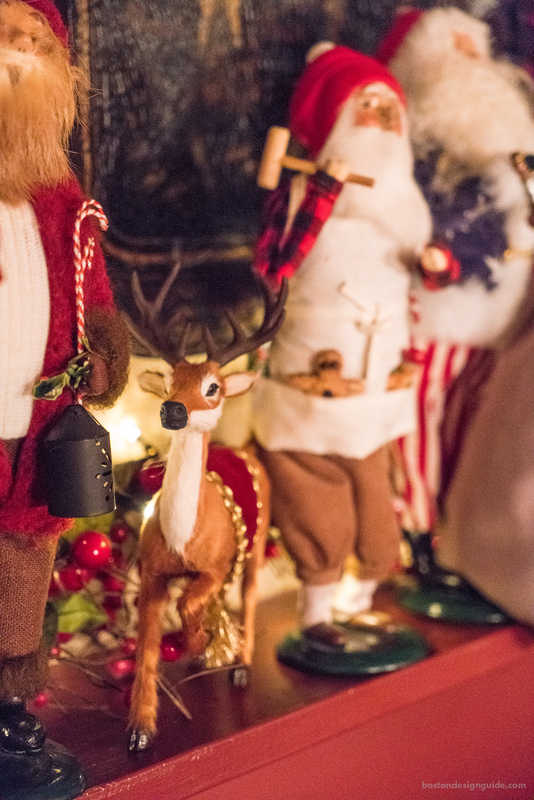 I have collected about 70 dolls over the years, and have even been known to pull over, young kids in tow, to the historic Wayside Inn to make an auction bid for a doll hailing from the first edition Dickens series. 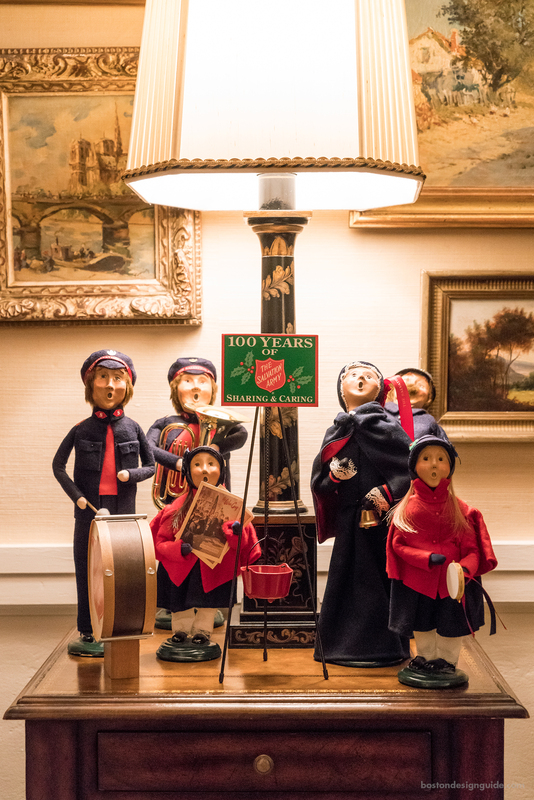 I have the Salvation Army Carolers perched on a small side table, the rustic Santas (many that are quite rare) on a fireplace mantel, as well as the 12 Days of Christmas collection, which I built one by one from the Partridge in the Pear Tree to the Twelve Drummers Drumming. 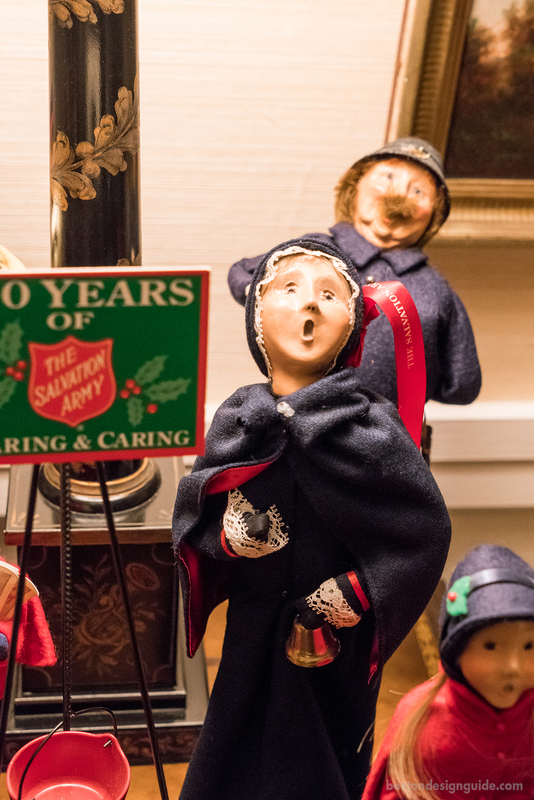 Every year, I am charmed by my carolers’ expressive faces, artistry and old-fashioned nostalgia. What is your favorite holiday decoration?